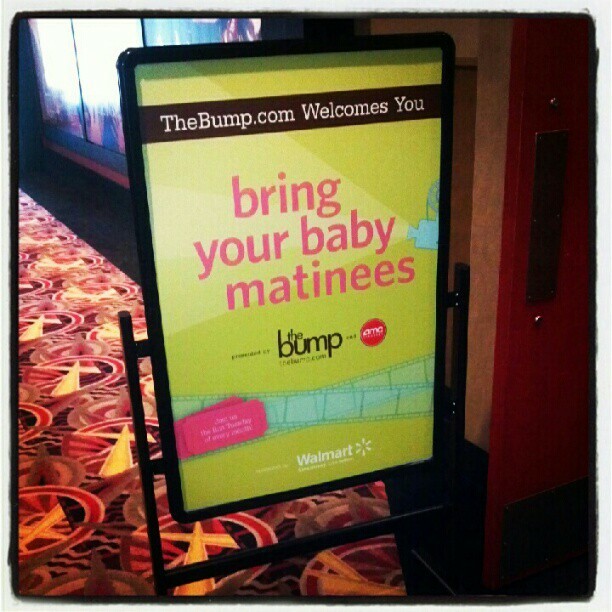 Bring Your Baby Matinee at my local AMC theater. with their infants and they were all enjoying the movie. There were strollers, breastfeeding, low-lights on - everything that was promised. 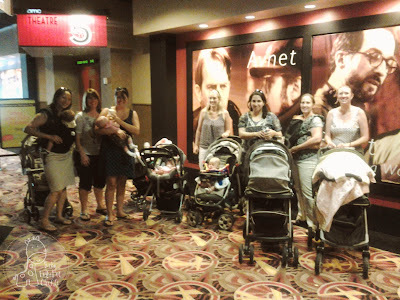 I met members of a cute local mommies group and they obliged me with a picture. outing for them to enjoy as a group. It was the second time they had attended the event. from others because the baby is fussy. on the first Tuesday of the month. The next movie is "The Odd Life of Timothy Green"
on September 4th at 12:00PM. so check HERE to find a theater near you. Disclosure: I was invited to attend Bring Your Baby Matinee. I attended because I was wanted to see The Amazing Spiderman. I received admission for free. I blogged about it because I wanted to share this fun opportunity with my readers. All the thoughts & opinions are mine.